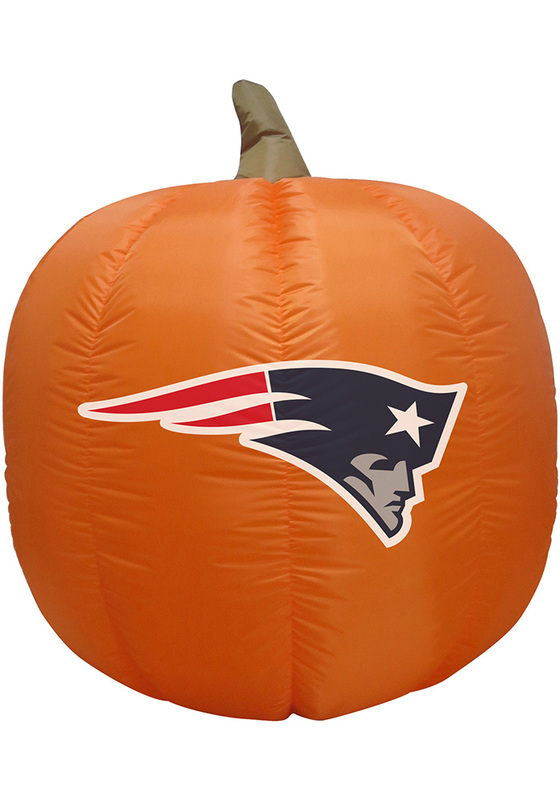 Get ready for the season with this New England Patriots Orange Outdoor Inflatable Team Logo Pumpkin. All of your neighbors will be jealous when they see this New England Patriots Inflatable, which features a licensed New England Patriots logo. This four foot inflatable pumpkin is illuminated making it easy to see your team spirit at night. This weather resistant outdoor decoration comes with stakes and tie downs to keep the pumpkin in place.